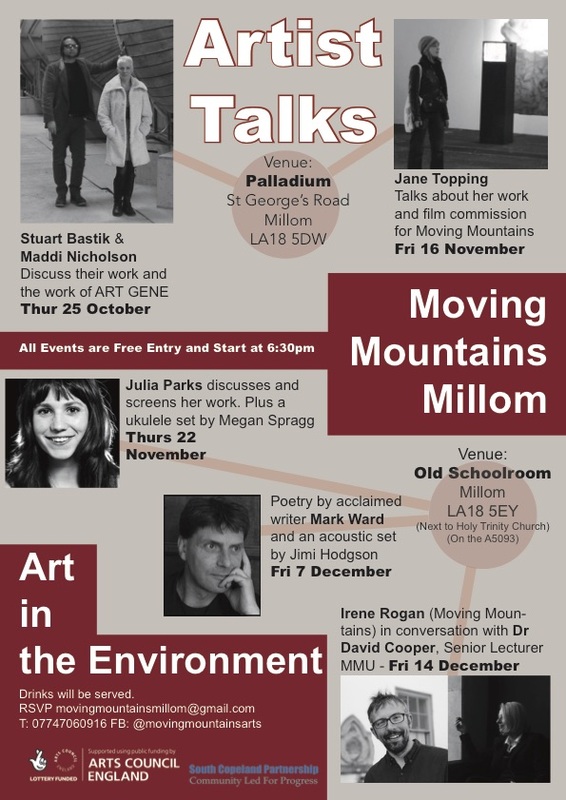 This was one of several artists talks at the Moving Mountains art festival 2018 in Millom, South West Cumbria, UK (curator Irene Rogan). Glaswegian filmmaker Jane Topping talked about her work and film commission for the Moving Mountains festival. Topping's film (co-produced with Mark Vernon), 'Disaggregated Industries' - a short, atmospheric, science fiction film set in the South West Cumbrian town of Millom - premiered at the festival on 1 November 2018.